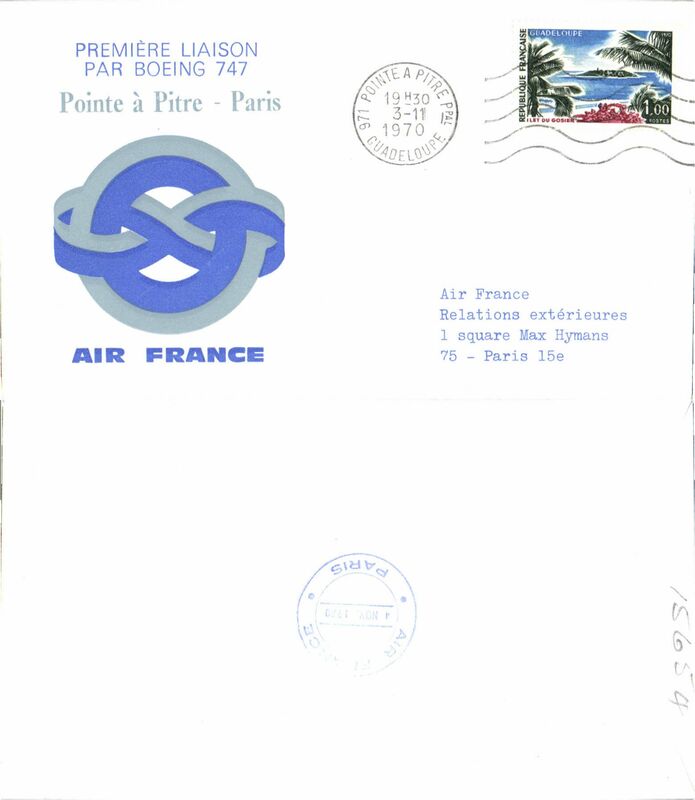 First acceptance from Guadeloupe for carriage to France on the F/F Pan Am FAM 18 Transatlantic Northern route from New York to Ireland via Newfoundland, registered (label) Credit Guadeloupeen imprint etiquette corner cover franked 17F 50c, canc Basse Terre/21 Juin 39/Guadeloupe cds, Pointe a Pitre 22/6 transit and Pornichet/Loire/3 VII 39" arrival cds's verso, black framed "1ier Lason Aerienne/Guadeloupe-France/Via Terre Neuve-Irlande". Ex Bergier, written up on album leaf and illustrated on p180 of his book "Relations Aeropostales Entre L'Europe et L'Amerique du Nord 1919-1945". A very rare acceptance in fine condition. 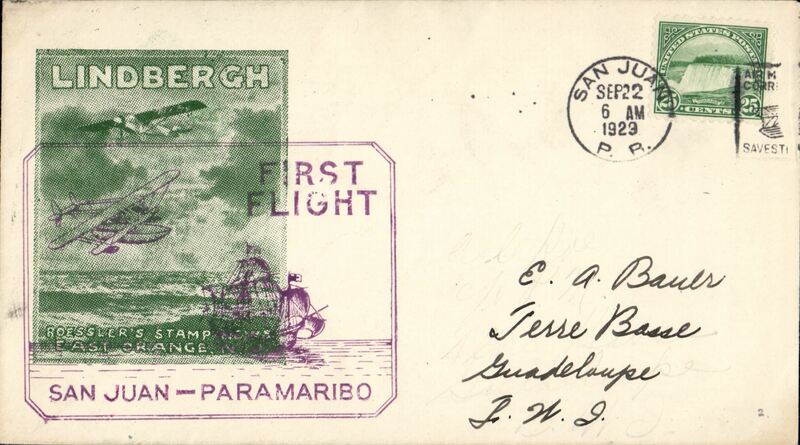 F/F Pointe a Pitre to Fort de France, Martinique, cachet, b/s, Air France. 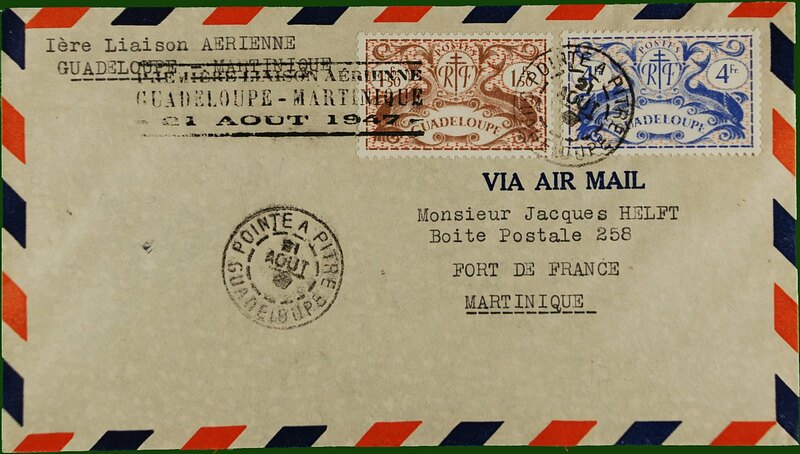 Air France, F/F Pointe a Pitre-Paris, & return, two souvenir covers with bs's.